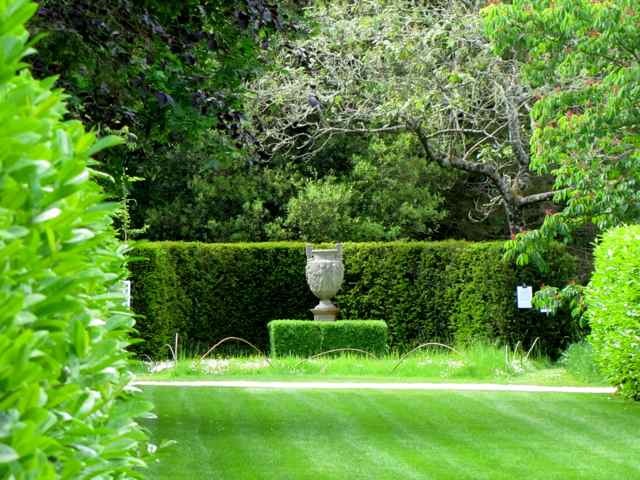 Not to be missed ... a secret garden in Wiltshire! After a really bad gardening start to the day (not for discussion here, but I'll be posting about it later! ), I chanced upon one of the most delightful gardens I've encountered yet this year - Larmer Tree Gardens - in the heart of Cranborne Chase in Wiltshire. I'm slightly mystified by this wonderful garden, because it doesn't appear in any of the UK garden guides, or indeed on the internet gardening sites! And even more strange ... when you put the postcode into the satellite navigation system, you don't even get to the right place!! But I can assure you that it's not a figment of my imagination because my husband came with me and we have the photographs to prove it! 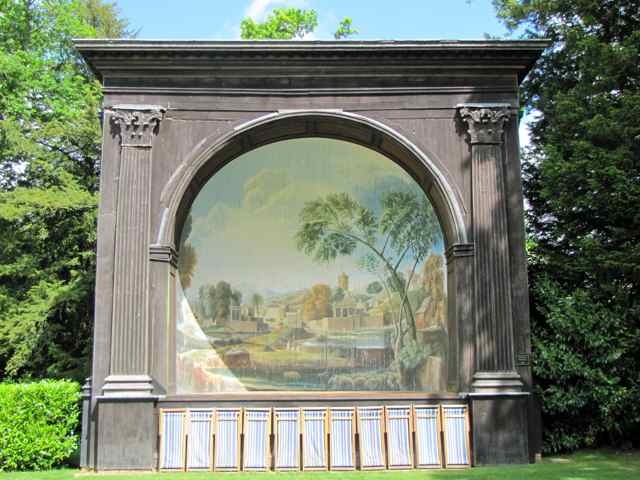 Originally the Larmer Tree Pleasure Grounds - the gardens were opened to the public in the 19th century by General Pitt Rivers of Rushmore - and records show that by 1899, the gardens were attracting more than 44,000 visitors a year. Hardly surprising when you see what Pitt Rivers constructed to entertain his visitors - a Singing Theatre (below); a racecourse; lawn tennis courts and an 18-hole golf course. But when the General died in 1900, the gardens closed, and it was not until nearly a hundred years later that they were reopened by his grandson. The unusual name "Larmer" takes its name from a tree - probably a Wych-elm - that originally stood on the site and reputedly dating from the 10th century. Needless to say, the tree is no longer there, but in an interesting account of the site written by Michael Pitt Rivers (the grandson) in May 1995, it is claimed that King John (1167-1216) met with his huntsmen and hounds under the "Larmer" tree back in the 12th century. Quite why General Pitt Rivers turned this land into a pleasure garden is unclear, but whatever his reasons, the temple (below) was erected in 1880 and the half-timbered caretaker's cottage (top) in 1881. 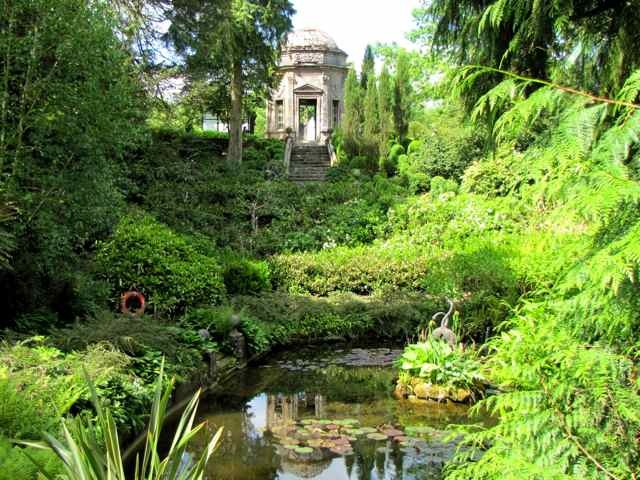 The Temple presides over a wonderful watery dell (above) and there is also an adjacent grotto, complete with Neptune statue. All of this makes Larmer Tree Garden slightly surreal, but it's really worth a visit if you're in the area! Combine this with nearby Cranborne Manor, which is only open on a Wednesday, and you'll have a really unusual day out!! 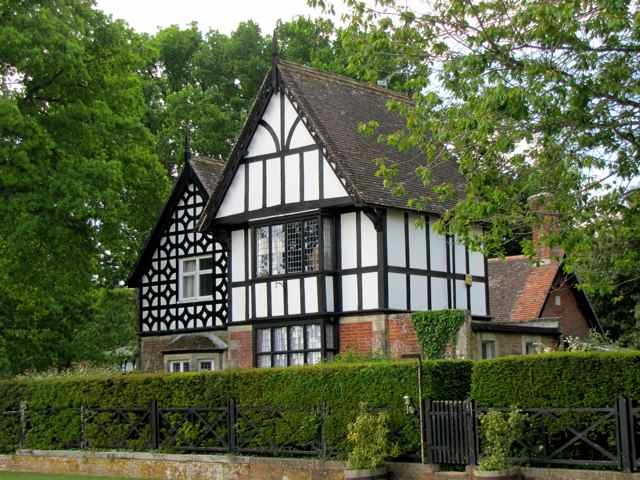 I just love the old Tudor English timber-frame houses, I had to push past that that first photograph, I could stare at it for hours. The gardens are beautiful though. What a wonderful little hidden treasure you found! Hi Charlotte, i envy those of you in Europe, you have lots of private and public gardens. I love the cottage above, i wonder how it survived the neglect when the garden was closed for decades, built in 1881, WOW! Your articles and photos must be documented in hard copies as they are treasures and a wonderful contribution to the garden industry! Maybe you should do it now, not waiting for your heirs to make your blogposts later into a book, hehe. What an amazingly beautiful place! I look forward to your post about the morning troubles, I hope it wasn't anything too terrible. Isn't there a festival at this garden at some point in the summer? It's ringing a vague bell. But that aside, looks like a lovely discovery. Thank you!